Paul Weller Featured In Johnny Vegas’ Series, Ideal! – Paul Weller News! 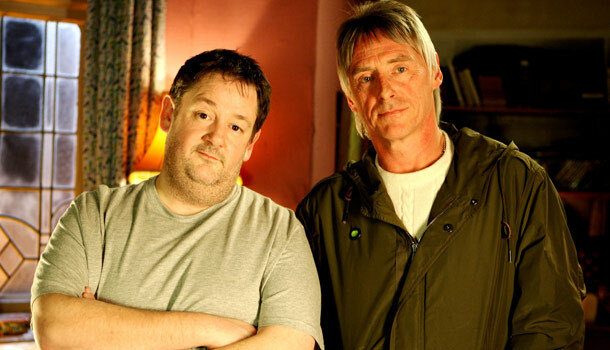 Paul Weller Featured In Johnny Vegas’ Series, Ideal! Dope opera Ideal makes its long awaited return to BBC3 on Thursday 26th May – and there will be some extra special guest stars knocking on Moz’s dingy door. The seventh series of the seriously twisted comedy starring Johnny Vegas is set to feature Paul Weller, Rula Lenska and former EastEnders and Strictly Come Dancing star Kara Tointon, with Janeane Garofalo also returning for a second series. Johnny said: “Paul Weller, or The Modfather, as the script rightly refers to him, is one of the coolest customers ever to step onto our sound stage. “He’s the Daddy! Pure class, and again, zero airs and graces. Previous Entry Paul Weller Stops By The BBC’s "Vinyl Revival"
Next Entry Paul Weller To Play The Azkena Rock Festival!